→ Kenya has long purple hair. Her hair reaches down to her feet. She lets it all flutter and fly with the wind like the whale Willy. On her forehead she wears a Z that resembles a rune with her alchemy. She has a soft peach completion. over her eyes she wears a specially made object. It blocks out light and instead of seeing with her eyes, she sees with her ears. Also, if she activates it, it allows her to view kenetic energy. On her neck, she wears a special sort of belt. It's infused with a sort of chemical and leaf. It would heal a deep slice to her throat as well as stop her bleeding. Her lips are soft, a little plump, and have a gentle red tint. (she often wears lipstick) On her body she wears a mini dress. It reaches just below her behind. On her wrists she wears the same type of belt like object as her neck. Just above her elbow and on her upper arm just below her armpit are also these bands. A band is also in the middle of her thigh and two bands, one on each shin. Her boots with these objects on them are thigh high, and made of the same light leather as her mini dress. Her arm parts reach to her hands where they stop like a gauntlet. She has long bands that stand out in front and also cascade down her the same length as her hair. → Kenya at other people as things she can kill most of the time. She's like a loose cannon who only one person can control. She's highly manipulative and has lots of knowledge she is willing to use to her advantage. Nothing is too gross, disgusting, horrid, and wrong for Kenya to do. If ever there was someone in history she most closely resembled, it would be, The Doctor. Her cunning and mischievous style would almost be descended from that man, or, perhaps he was. She took everything from that man, and i mean EVERYTHING. She thinks less of almost everyone because of her father. She was conditioned as a child to be the perfect weapon and she thinks of herself as just that. She finds herself to be more skilled than those she kills, hence the superiority complex. However, she has some sort of proof. She was genetically engineered to use her type of alchemy by her father, which allows her to really show off the arrogant side to her. With all of her enhanced things, she still finds time to think of everything as inferior. The people she works for are inferior for being humans and not artificial. She believes that there is no need to make things over complicated so she has set up, with her master, two rules. 1, she is told exactly, word for word, what to do. If there are any loop holes, she'll take them(I.e. if she's told to take over a town, she will most likely level the whole town/She needs specific instructions). and 2, she only listens to her "master", who she calls Ma'am(though she sneaks in master, or tries to.)Vlasnik. If anything were to happen to her "master", or someone made a threat to her, Kenya would do anything in her power to destroy that threat. She has no respect for anything except her "master", if you recall, she just thinks of other people, animals, and things as test subjects to experiment her skills on. → It all started on a horrid day. About twenty eight years ago, a woman was born. She was born from her Father's Fiance'. That person was Carmen. She gave birth to the most monstrous being there ever would be. She grew up fast and showed traits from her father, all of them. She grew with not toys or dolls or even toys. She grew up with scalpuls, dead bodies, blood, and harm. She was abused by her father everytime she did something wrong. When it didn't go his way he nearly broke her arm. He loved to torment her in the early years of her life. She was then orphaned with her father dropped her off at the side of the street at a young age. She wandered the whole of central trying to find food, shelter, and water. She wandered for at least three days before she met a nice young man, of so she thought. With in a day he too exploited her. She had no choice but to run away after she had stabbed him with a pencil in the carotid artery. She was back to wondering the streets of central for a good couple of years. she figured that one day, she would find someone who gave her a home, fed her, and clothed her even. She wanted this bad, so bad, she would kill for it. It wasn't until she was 17 that she learned how to use her alchemy, or even that she had any. And furthermore, it wasn't until she was 28 until she mastered it. But, between that time, there came a day when she snapped, maybe it was before that, no one really knows. She found that one day she just felt the way her father did, and that was something that she didn't want BOTH of them to have. If one was like that, the other would have to go. So, she found her father and "talked" with him. She killed him with in moments, and then, she was truly snapped beyond all comparativeness to before. She was insane, and it was like no one could tame her. That is, until she met Reila. Reila had to "prove" herself in front of Kenya. Otherwise, she would never yield to her power. It took a good ten mins before Reila forced Kenya to into submission. After, she asked Reila to abide by two rules, and she would be her master. Rule 1, Tell her the mission word for word, any loop holes and she said she would use them. 2, she only listens to Reila, her master whom she calls master. With that said, she now wanders the world under the control of Reila, where she will continually take out the enemies of her master, and live in the depths of Briggs. 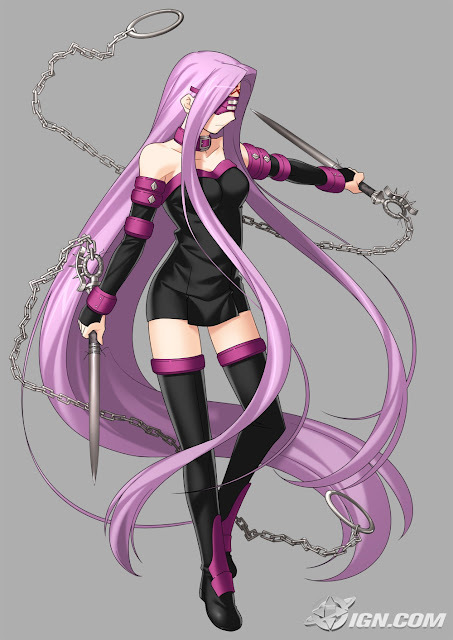 Her constant hiding from the other people, (chained up by a guard at her own request) would prove to be a godsend to their enemies, and allies. → Blood. Blood is the crimson elixir of life that keeps all beings going. Her alchemy is all based on blood. First, she needs to know the chemical composition of a human body. Then, she needs to know the chemical properties of all those elements as well as their atomic number. This is so she can combine and mix them to form HCL(Hydrochloric Acid), which is her ability. She turns blood to HCL. This is simply lv 1. She uses the HCL to burn part what her blood lands on. HCL is so corrosive that it will eat through almost anything if not everything. Her Alchemy must remain active to burn through something for more than a split secend, however, with the massive drain that causes it's HIGHLY suggested that does not happen for it will surely over use her blood and power, causing her to feint. Also, the HCL is tweaked to be able to eat through an arm with the moments to lower the amount needed, which is why it's such a drain to keep an artifical HCL active. After it deactivates, the HCl reforms into a natural liquid, H2O2(Dihydrogen Dioxide)(The stuff you clean wounds with that bubbles and feels cold). however, At level two, she makes the blood turn to surfer, where it explodes(in a small flash as it explodes). At lv 3 she has access to a self made poison in the blood which, after a little amount of time, (ten posts) seizes up the neural systems of the opponent. Stage 4(TBA), stage 5? (TBA). → Highly skilled in her weapon. → Basically has a license to kill with the order of her "Master".